Infinite Campus is used for district grading, attendance, reporting, and communication. Parents are strongly encouraged to be an active user and regularly check their Infinite Campus account for information pertaining to their student's success at school. To log in to Infinite Campus, parents must have a district-issued username and password. If you don't have a username, please contact the district for more information (414) 525-8526. For information about how to use the Parent Portal and locate specific information, please follow the link to the Parent Portal User Guide. 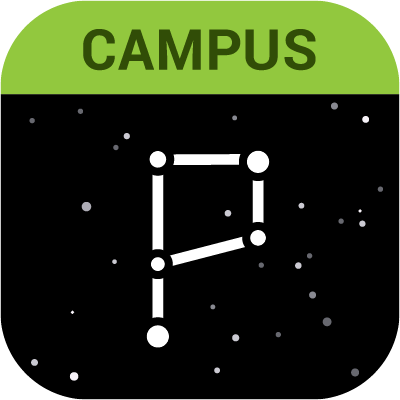 Download the mobile Infinite Campus Parent app for easy access to student information anytime or anywhere. Where do I find my student's Grades and Assignments? After logging in to the Parent Portal, select your student from the drop-down menu at the top and then in the left sidebar, click on GRADES. Once the courses display, click on a course name to see the course assignments. You can drill down further by clicking on the individual assignments to see the specific assignment details and comments. After logging in to the Parent Portal, select your student from the drop-down menu at the top and then in the left sidebar, click on REPORTS. A small list of links to various reports will display. The report card will be named Semester 1 Grade Report OR Semester 2 Grade Report. Grade reports will only be available for that school year. Please contact the district office for a previous year report card. Where do I find my student's Course Schedule or Teacher Assignment? After logging in to the Parent Portal, select your student from the drop-down menu at the top and then in the left sidebar, click on SCHEDULE. The student's schedule will display with links to the course assignments and teacher contact information. To make a printout of the schedule, click on REPORTS and select Schedule / Locker. **Schedules/Teacher Assignments for a new school year will not be posted until approximately 10 days prior to the start of school. How do I find my student's lunch account balance? After logging in to the Parent Portal click on FOOD SERVICE. The family account will display the current balance. In the 'Transaction Detail,' parents can select their student to view their individual usage of the account and purchase history. After logging in to the Parent Portal click on PAYMENTS. Enter the amount you wish to add and click 'Continue'. Thresholds can also be established to automatically add dollar amounts when the account reaches a specific balance. Where is my student's bus transportation information? After logging in to the Parent Portal, select your student from the drop-down menu at the top and then in the left sidebar, click on TRANSPORTATION. That student's bus route number, pick up time, and pickup location will display. For other bus transportation questions please contact the district office (414) 525-8526. **Busing Routes and times for a new school year will not be posted until approximately 10 days prior to the start of school. How do I register my current students for a new school year? All families with students returning for a new school year must complete an Online Registration/Verification. The window to complete this process generally is open July 1st - August 10th. Families will be asked to verify school records such as emergency contacts, health conditions, and other important student information. The link for ONLINE REGISTRATION can be found with the links on the left sidebar.